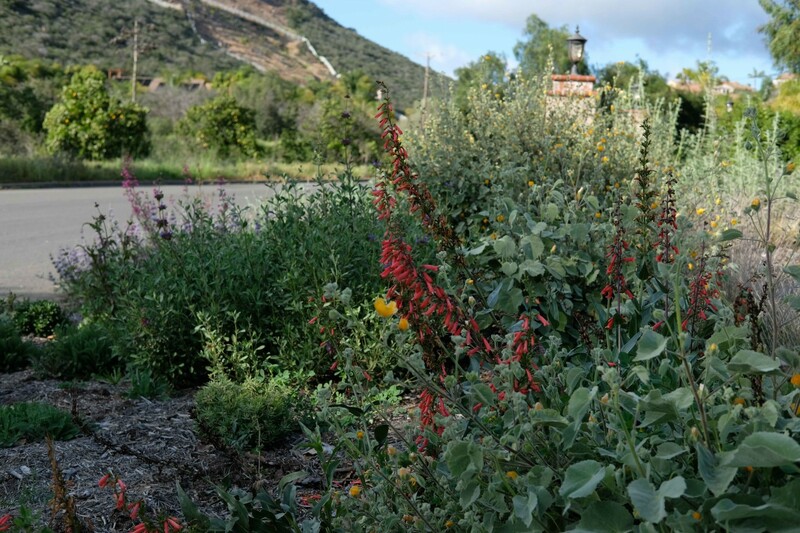 With some forethought and good maintenance, our gardens and yards can be Beautiful, Ocean Friendly and Fire Resistant – protecting the safety of our families, our community and our water resources. Last year, the U. S. experienced one of the most devastating wildfire seasons on record. Unfortunately, with warmer and drier-than-nomal conditions being predicted again many western states will be at high risk for significant wildfires in 2018 as well. While Surfrider members in all three western states of Washington, Oregon and California became all too familiar with their altered viewscape of smoke burning in the distance and impaired air quality reports, nowhere did our Surfrider community suffer more from wildfires last year than in Sonoma, Santa Barbara and Ventura Counties in California. Many of our members were forced to leave their homes with their neighbors to protect the safety and health of their families. 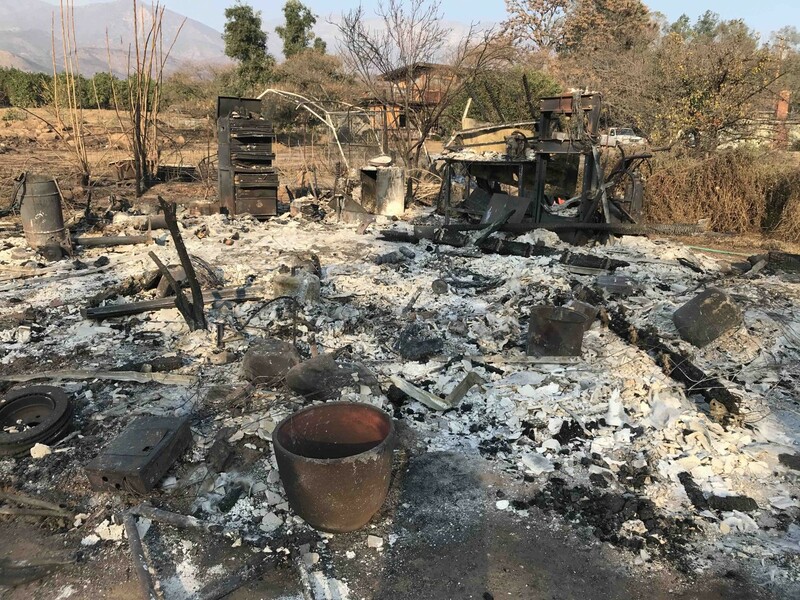 In the wake of the Thomas Fire - the largest fire in California history- not only were communities in Ventura and Santa Barbara Counties left to deal with sifting through the ashes and rebuilding, but heavy rains in January 2018 caused massive flooding and mudslides that brought even more devastation to life and property. The impacts of wildfires on flooding and water quality can be felt for years after the flames are put out. The root systems of trees and other burnt vegetation are weakened and unable to hold water and soil during rain events. Adding to this, is the fact that burnt landscapes also develop an impermeable, waxlike layer in the soil after it cools creating conditions that trigger massive runoff and mudslides. Learn more about how wildfires exacerbate flooding here. The good news is that many communities in areas affected by wildfires are making the effort to rebuild and revegetate the landscape in a safer, more resilient manner. The Ventura Chapter participated in the Ventura Strong Rebuilds Green Expo on June 16th to discuss how Surfrider’s Ocean Friendly Gardens criteria can be applied in Fire Hazard Zones to protect both local water resources and community safety. Ocean Friendly Gardens are designed to mimic nature and to restore the natural water cycle by conserving water and reducing runoff that causes pollution at the beach and in our local waterways. In Fire Hazard Zones, special care needs to be given to design landscapes and install plant material that is fire resistant and will protect against the spread of wildfires. 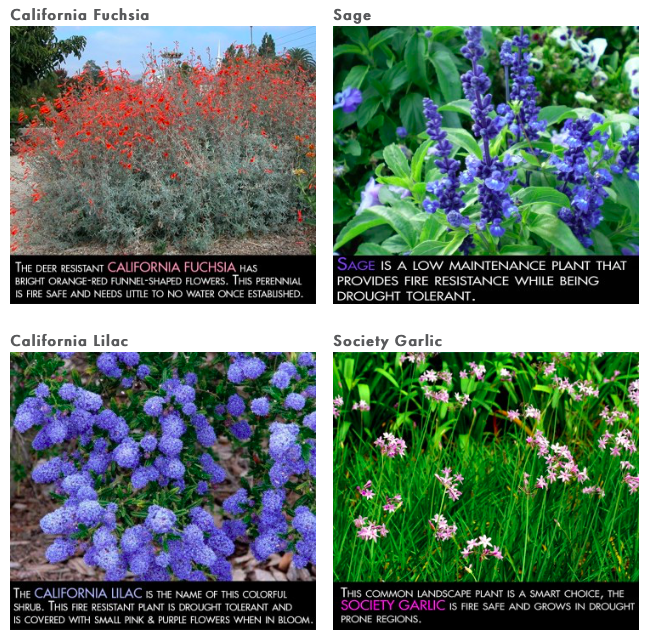 With the help of Sabrina Drill at University of California’s Cooperative Extension and Ron Durbin with the LA County Fire Department's Forestry Division, Surfrider has developed recommendations for applying our Ocean Friendly Garden Criteria in Fire Hazard Zones. In addition to the new OFG criteria for Fire Hazard Zones, Surfrider has also assembled a list of resources to help with selecting appropriate plant and mulch material and to assist with landscape design and maintenance in Fire Hazard Zones on Beachapedia. If you dont know if you are located in a Fire Hazard Zone, you can look up your location in California on the Cal Fire website or contact your local fire department. Surfrider looks forward to helping communities plan wisely to conserve water and protect their property with our Ocean Friendly Gardens Program. With some forethought and good maintenance, our gardens and yards can be Beautiful, Ocean Friendly and Fire Resistant – protecting the safety of our families, our community and our water resources. OFG Critiera for general application available here and for application in Fire Hazard Zones download here. Fire-resistant plants are those that do not readily ignite from a flame or other ignition sources. These plants can be damaged or even killed by fire; however, their foliage and stems do not significantly contribute to the fuel and, therefore, the fire’s intensity. There are several other significant factors that influence the fire characteristics of plants, including plant moisture content, age, total volume, dead material, and chemical content. Fire-resistant does not mean fireproof! Even fire-resistant plants will burn if not well maintained. Be sure to keep all of your land-scape plants healthy with appropriate water-ing, proper pruning, etc.